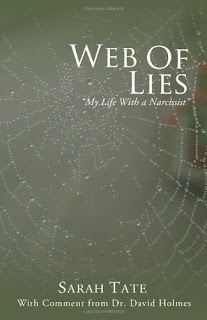 Web of Lies takes you on an emotional roller-coaster, experienced through the eyes of Sarah Tate, an intelligent, young newcomer to Switzerland who is swept off her feet by an older, more experienced company manager. Within weeks of their meeting, Bill impresses her with a courtship vastly unusual in modern times. He lures Sarah with his intellect along with numerous gifts, expensive restaurants, and trips to luxury hotels. Sarah, who is searching for not only love but security, quickly finds herself falling for the worldly but sensitive and caring man Bill represents himself to be. 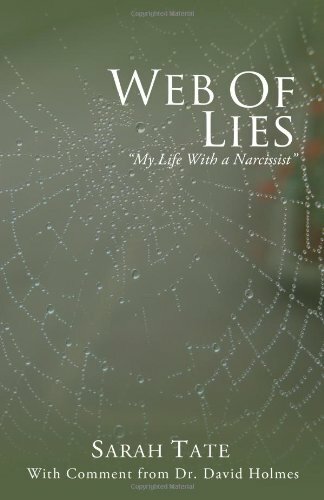 In Web of Lies, she describes the highs and the lows of what it is like to be involved with a person with Narcissistic Personality Disorder, how to come to terms with the abuse, and most importantly, how to escape. The reader will grow attached to Sarah quickly. She is very easy to enjoy as a person, she will come off as kind, helpful, and hopeful. The reader will be rooting for her to find the person she deserves. The reader learns that living with an undiagnosed mental disorder can make your life a personal hell. Sarah's reasoning and thoughts will keep the reader occupied throughout the novel, the reader will be intrigued. Sarah's experiences are relateable to most women, perhaps not in such as extreme way-but relateable nonetheless. Anyone who believes they may be living with a Narcissistic personality needs to pick up this book. Sarah's experience should not go unnoticed. This book is recommended to adult readers.